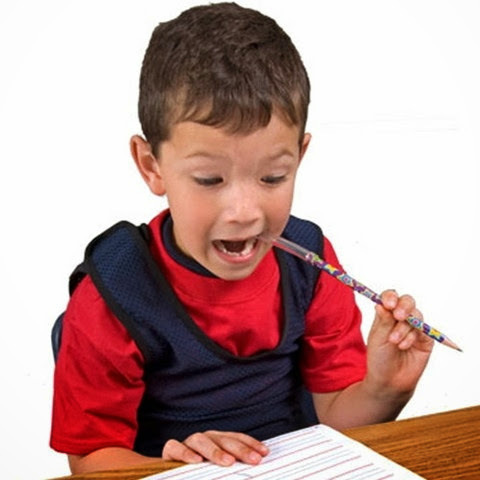 Teaching in an inclusion classroom, I have several students that struggle with hyperactivity and attention. Regardless of whether these struggles stem from a larger learning disability, are part of a complex sensory profile, or from psychological trauma, it can impact their ability to learn and feel successful in the classroom. Today I thought I would share some of the strategies I have learned to support these kiddos (and all kiddos) in my classroom! 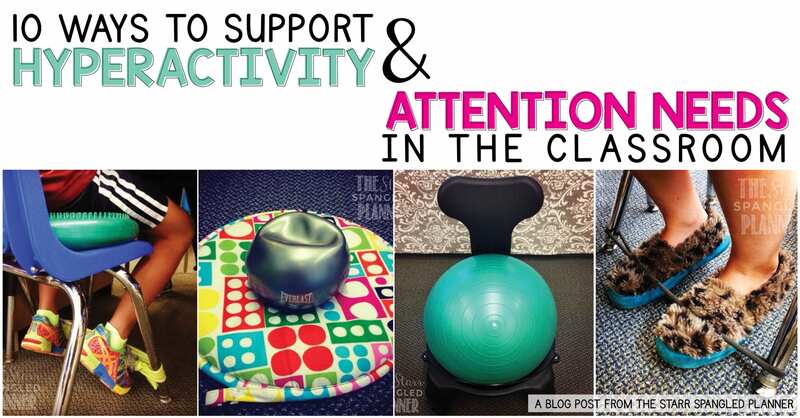 Here are my 10 WAYS TO SUPPORT STUDENTS WITH HYPERACTIVITY & ATTENTION NEEDS! I used to use fidget toys in our meeting area, but even with consistent previewing and modeling, they often became toys and projectiles. Now I use soft weighted medicine balls, and it has alleviated many of the issues I had with fidget toys. Students sit criss-cross and place the ball in their lap. It helps them to feel grounded in their place, while providing sensory input. They are allowed to lift it with the arms, but only to their chest and back. They are generally too heavy for them to move more than that, and I no longer find things flying across our meeting area in the middle of our discussion. I got mine from the exercise department at Marshall’s. Don’t get me wrong, I LOVE using stability/yoga balls in the classroom. Like move-and-sit cushions, they are great for providing the feeling of movement with limited distraction, while simultaneously developing core strength. However, with some students, their mobility posed a problem. Even with the donut rings at the base, or the built in legs, there are some students that will bounce their way into the hallway. If this has happened to you, you know how frustrating this is as the teacher…and then, you feel horrible because you know they WANT to do what’s right, but they physically can’t! 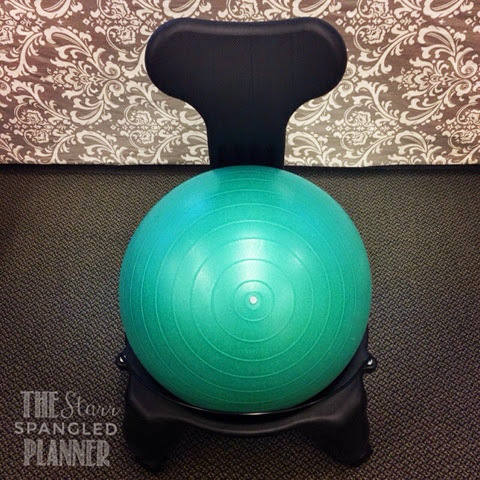 These stability ball chairs have made a huge difference! They run on the expensive side, but I have purchased all of mine from Craigslist for very cheap! A quick clean, and you have a great way to give your students all the benefits of the yoga ball, while keeping them to a fixed location. 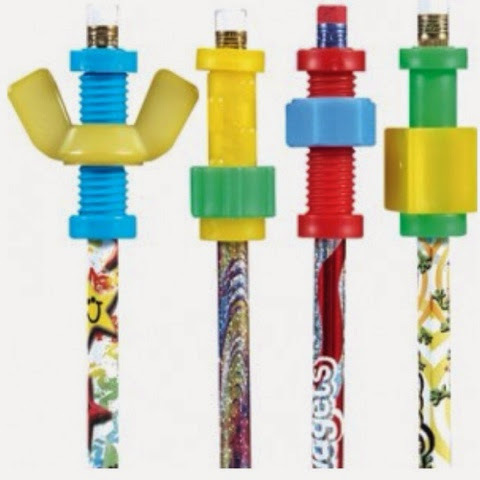 These fidget pencil toppers are amazing for students who need something to play with while listening to directions at their tables or desks. I also find it a helpful focus tool for students while they are brainstorming ideas independently. They are also really easy to transfer from one pencil to another! 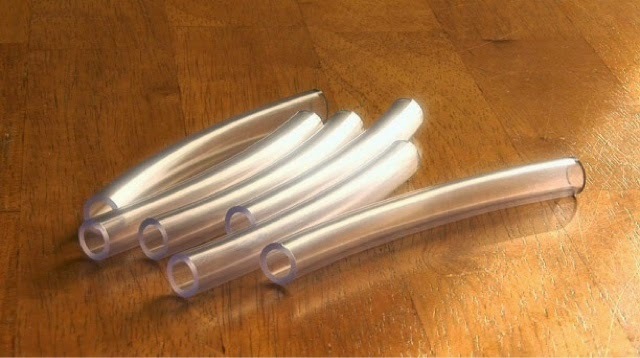 For schools where chewing gum isn’t allowed (or you just hate finding gum stuck under desks!) these chewable pencil toppers are great focus tools! Chewing is a great way to give students the sensory input they are seeking while they work. They chew and think, write something down, and then go back to chewing as they think. It works wonders! If you can’t get your hands on these toppers, a bag of pretzels or goldfish crackers can be a great supplement! Our PTO sponsored a grant that allowed me to purchase a class set of these privacy partitions. They are available to all students, but they are particularly helpful to my students with attention issues. Limiting the amount of visual stimulation that can distract them is key, and these partitions do the trick. I forgot to take a picture of them, but I have protector sheets taped to the inside, where I put checklists and directions for students that need that individual reminder. Grabbed my class set from Lakeshore Learning. Often students who struggle with attention also struggle with recognizing the passage of time. These are often the kiddos that you find still at the water fountain ten minutes later! 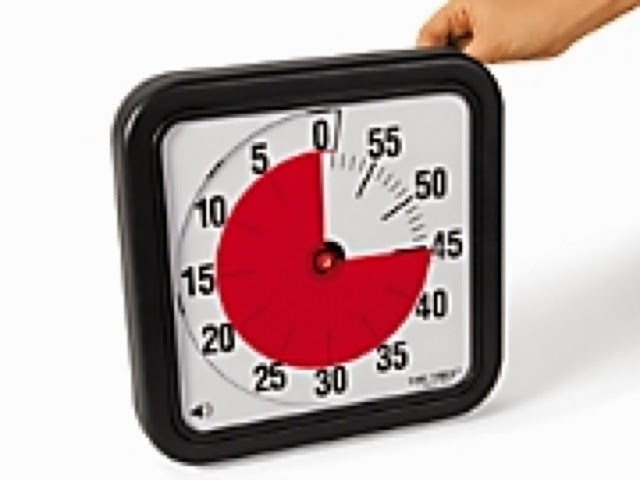 Having a class time-timer (as well as smaller, independent ones available) has been a HUGE help in keeping kids on track and focused. It is a great visual reminder for students, and helps them feel more independent. Actually, one of the jobs in my classroom is the TIME CHECK. This student is responsible for setting the class time-timer at the beginning of each work block. I set individual ones, often at 10-15 minute intervals, saying, “When I come back, let’s see if you can have 3 ideas on your paper.” I cannot stress the value of this tool enough! These are great for students that struggle with transitions. You know which kiddos I’m referring to… the rest of the class is cleaning up their work, putting things away, and making their way to the next activity, but they are spinning in circles with their arms out at meeting. Transitions can be incredibly over stimulating for some kids, and so modifying their transitions can really help! I bring you… the IKEA EGG CHAIR! About two minutes before ringing the chime to begin the transition, I have my one or two students head to their “transition spot,” where they generally have a book waiting for them. 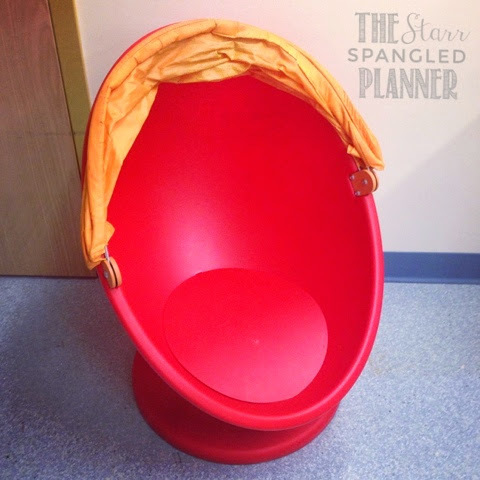 They have a quiet seat in the egg chair and pull down the chair cover. This blocks all visual stimulation for them. Then I have the rest of the class transition to the next activity, whether it is to meeting, to line up, or to a center. After the rest of the class is settled, my students in the egg chairs join us, having avoided the chaos of the transition completely. Now, I don’t like to use this all year, as it doesn’t offer them a chance to learn how to deal with transitions (which is a necessary skill in life!) I slowly pull back this support as the year progresses, sometimes completely. I know we are all weighed down by increasing demands in the classrooms with fewer resources and what feels like an ever-increasing student case-load. However, I have found that carving out even a two-minute movement break between activities actually ends up saving me time. Being proactive in this way means that I have to interrupt lessons less often with reminders and redirections. Also, when planning out my day, I try to be conscious of how long I am asking students to sit in the same place. Between longer blocks, I try and break it up with a quick movement break, or at least a change of setting (rug to desk). I also try and have more “hands-on” activities available during center time, although I could do better there! The book 99 Activities and Greetings has a lot of great ideas for quick activities that build community and incorporate movement. I hope you found some of these ideas helpful. I’m curious to know strategies that you might use to support students in your classroom. I’m always looking for new ideas! This post is AWESOME! I have at least a couple of kids who are really struggling this year. These little reminders will get the ball rolling for me to make some changes for them. Thank you!! Thank you for the lovely feedback Ashley and Jana! I'm so glad you found this post helpful 🙂 Here is the link to the chewlery that I mentioned on Instagram. Good luck with your kiddos this year! The wriggliest ones are always my favorite! Thank you! My son was just diagnosed this week with adhd and sensory issues. I might be able to incorporate a few of these at home. Hi Katrina! Your son is very lucky to have such a supportive parent! I hope you find some these strategies useful! Awesome! thank you! I got him the balance disc, and some fidget toys. Thank you so much for all your amazing ideas! Thank you Amanda 🙂 I'm thrilled to have given you some new ideas! So glad you stopped by! You may also want to try Hokki stools (or other similar stools) as an alternative to the stability ball chairs. They are light, take up less room, and still allow the student to move around without all the up and down bouncing. You are so very welcome Denise 🙂 I'm happy you found my little corner of the internet! Thank you so much!! I have a student that cannot sit still. After reading your post, I bought a move and sit cushion (I figured I would start small and work my way up). The results have been amazing. He can sit for longer periods of time, and he is not bothering his neighbors nearly as much as he was. Thank you for helping him, and for helping me to maintain my sanity! Oh my goodness Judy! That is such wonderful news 🙂 I was quite the wriggler when I was a student, so knowing teachers are looking for ways to support their active students makes my heart happy! Thank you so much for stopping by! Where can I find the sit and move cushions? They sound perfect for my class. Thanks! Hi Karen! I found mind on Amazon. I believe the vendor was Isokinetics 🙂 I hope this helps! I bought one for my daughters tblind class at academy sports for 19.99 i will bemail asking her school teacher about it now!! Hi there, where can you find the Ikea Egg Chair? I can't seem to find it on their site. I took your suggestion of Craig's List for the stability ball and found one. Hoping to secure the deal soon. Thanks for the recommendation. Yay! I'm so glad it worked out for you! Thanks for the great ideas. I love the chewing pencil idea – I need that one for myself! Great ideas with such wonderful insight into what "fidgety" kids really need. I love that you are so accepting of their needs. And, yes, I'm going to use some of these for myself and my fidgety husband! I have been struggling with the fidgets being used toys as well. I am a first year teacher so any input is great! I would love to try the weighted balls for a few of my friends after break and I'm curious how you introduce them to your students (the one using it and the others in the class who are curious to whats going on)? Thank you so much for all your ideas! Hi Courtney! What a great question! I usually pull the student(s) aside at some point during the day to introduce new tools. I have usually had other conversations leading up to this point, asking them what is hard for them, and if they have any ideas for how I can help them or how they can help themselves (I try to let them give a few of their own ideas a try first). After modeling how to use the tool, explicitly showing how they can use it (e.g. you can not raise it above your shoulders…etc.) I also provide them with the language to explain their tool to their peers. "It's a tool to help me focus." It's a reoccurring message in our classroom: We all need different tools to help us succeed. Some you can see and touch, some you cannot. I hope this helps! I love these so much! I want to the move and sit cushions for my whole classroom, about how long do they last? Great ideas and some I've never seen before. Thanks for the advice. Thank you so much for this great information!! Which product have you seen the most effective for students in second grade? I'm trying to find ways to help my fidgety class… Thanks! what a kind way of responding! Oh my – I am an adult w/ ridiculous ADHD. I was recently diagnosed and it has made me so conscious of my jitteriness, inability to sit still, excessive pen clicking in meetings, losing track of time, constant doodling, etc. I am going to get some of these tools for myself! Especially the Thera-band. I find that I am at my desk swiveling around, trying to cross my legs, etc. It makes it sort of hard to type. Ordering right now. Oh – how about standing desks? I was going to suggest adapting treadmills to a desk for those kids that really need to 'move'…. I know it wouldn't be practical for a whole classroom, but in certain situations it might help. Sit/stand desks are great too! These are awesome. I have tried the core cushion and the theraband to no avail. The fidgets were another fail. I guess the weighted ball is next. This is great! We sure need more teachers like you who really care. 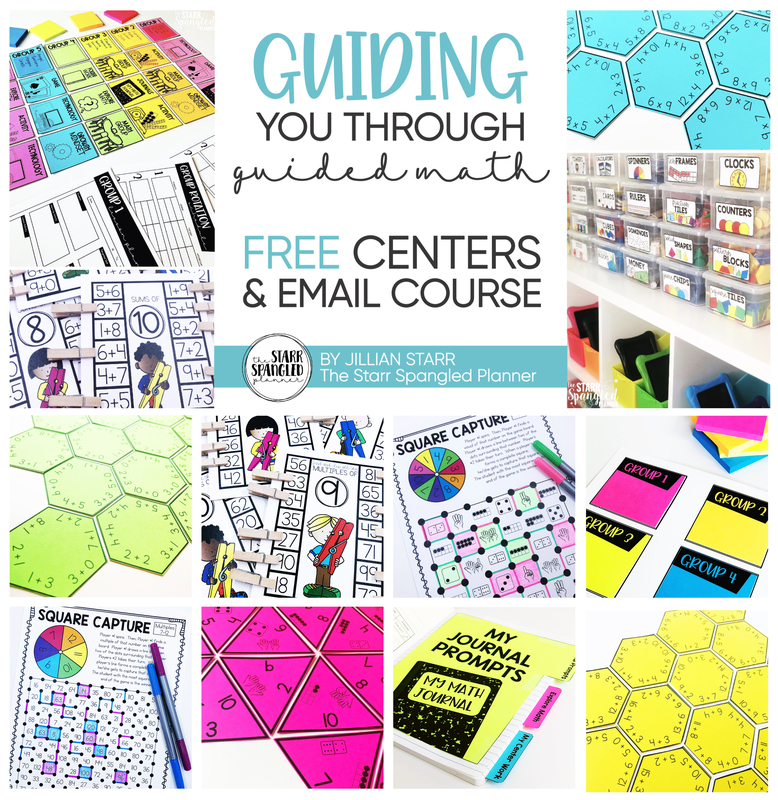 I plan to use a few if these ideas at home. Thank you! 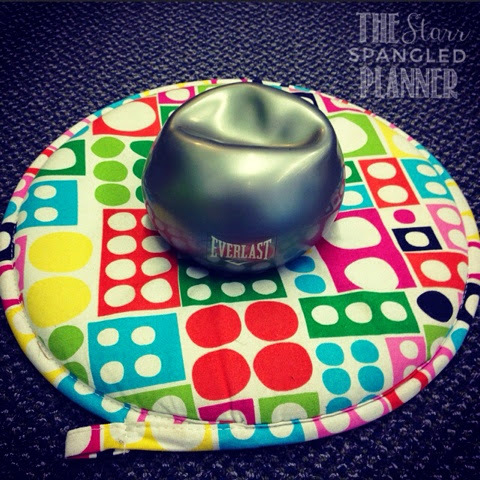 What kind of bases do you have for your yoga balls ? Can you recommend a few brands, please ? Thanks ! Did any of your students fall with the band for their feet? I think it's a great idea for some of my students who can't keep still…I'm just concerned that they will somehow fall out of their chairs. 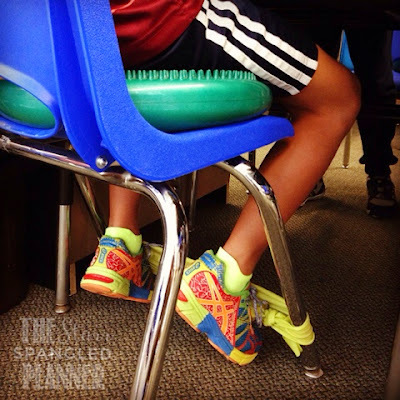 Do you have any advice on what to do about students leaning back in their chairs all the time? 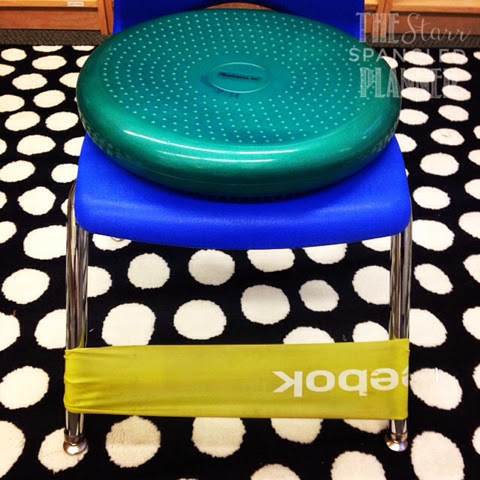 I have never had a student fall from using the therabands on their chairs. However, it is important to place the band at the base of the chair legs, and not towards the middle or top (which is where they could get stuck and potentially fall.) My class is a Responsive Classroom. Students don't actually get chairs on the first day of school until we all practice how to sit in them. This way they have proven that they understand the expectation, and are held accountable. Responsive Classroom asks teachers to seek out logical consequences, so if students do not use the materials properly (chairs included) the logical consequence is that they do not get to use it. Of course it is very temporary, but we go over how to sit correctly in the chair before it is returned. In the meantime they can use a clipboard, or use the standing desks in the classroom. Fantastic! thanks so much for sharing these successful ideas. I tutor and just started with a young girl who is in constant motion. I know many of your suggestions will make a huge difference! God Bless You and all your work we need more teachers like you. We can use some of these, but a lot of these won't work in middle school. Maybe if I have them at home, he can get his soothing here that he didn't get all day. I love your idea about a weighted ball. I can see it being something that really relaxes my son and helps him to focus in at times. However, I'm having a hard time telling how big/heavy the ball in your picture is. My son is 6 years old. Do you have a recommendation on what size/weight of ball would work for him? I’m a grown adult and I have major trouble with not getting distracted (I have Asperger syndrome and am borderline ADD–I don’t have enough of the symptoms to get the full diagnosis, but the symptoms I do have are pretty bad). I think this great. My son uses a stability ball in the classroom and I think the chair is a neat addition. As well, that fidget pencil topper is a really great idea. Thanks for sharing!